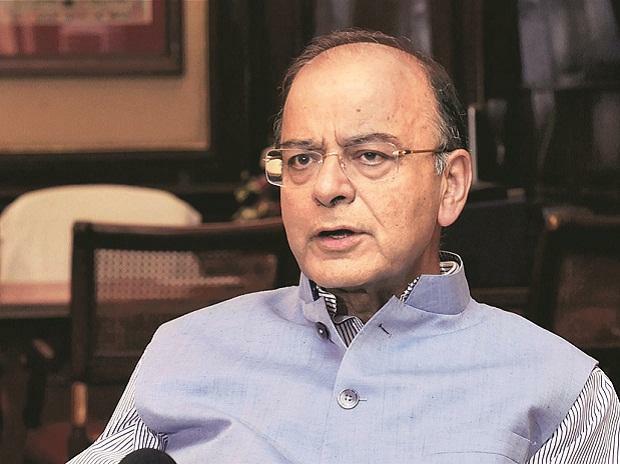 Finance Minister Arun Jaitley said in a tweet on Friday that the government had exceeded its disinvestment target of Rs 80,000 crore for 2018-19 by Rs 5,000 crore, taking the proceeds to Rs 85,000 crore. The Department of Investment and Public Asset Management (DIPAM) has crossed the disinvestment target for the second year in a row. On Friday, Power Finance Corp completed the acquisition of the government’s 52.63 per cent stake in Rural Electrification Corp for Rs 14,500 crore. The fifth tranche of the Central Public Sector Enterprise Exchange Traded Fund (CPSE ETF) also closed on Friday, clocking in Rs 9,500 crore. This translated to Rs 24,000 crore worth of transactions realised in a day. In 2017-18, DIPAM had raised Rs 1 trillion compared to a budgeted target of Rs 72,500 crore. The bulk of that was realised from ONGC’s acquisition of Hindustan Petroleum. The target for 2019-20 stands at Rs 90,000 crore. As of February 28, the Centre had garnered Rs 56,473 crore. Before Friday’s receipts of Rs 24,000 crore, DIPAM had, in March, garnered Rs 1,000 crore from the strategic sale of Dredging Corp to a consortium of four ports and Rs 2,000 crore from the sale of enemy shares. The government has also completed two initial public offerings (IPOs) of Mazagon Docks and MSTC this month. For the fiscal year, DIPAM heavily depended on its marquee ETFs — CPSE and Bharat 22. While Rs 18,729.85 crore has been garnered from two fund offerings of the Bharat 22 ETF this fiscal, Rs 26,500 crore has come in from the CPSE ETF, including the latest offering. Besides, firms like ONGC, Oil India, BHEL, Nalco and other PSUs have carried out buybacks, which have resulted in disinvestment revenue of about Rs 10,000 crore. Other smaller acquisitions have also taken place. These include NBCC’s purchase of HSCC, and WAPCOS’ acquisition of NPCC. Some other IPOs this year include IRCON, RITES, Garden Reach Shipbuilders, and Mishra Dhatu Nigam. The big ‘offer for sale’ was for a 3 per cent stake in Coal India, worth Rs 5,218 crore. Government officials say that this week is when disinvestment activity for the year stops. A number of other firms, which were supposed to participate in an IPO or OFS, will now do so next year, given DIPAM wants to maintain a healthy pipeline for the 2019-20 disinvestment target of Rs 90,000 crore.